Many efforts will be made for the discovery of extra terrestrial life and research work to reach there, to find out that humans are not alone in this universe. But those who are with us right now, lets not let them go away. ONLY 1411 LEFT. SAVE OUR TIGERS. JOIN THE ROAR. help the tigers from extinction. We can prevent. Spread the love for this beautiful Big Cat. A massive publicity drive has begun in India, to save tiger (national animal of India) from extinction. Feared and worshipped in equal measure, the tiger – one of the world’s largest predators – is an icon of India’s cultural and natural heritage. The global wild tiger population is thought to be at an all-time low of 3,200, down from about 20,000 in the 1980s and 100,000 a century ago. 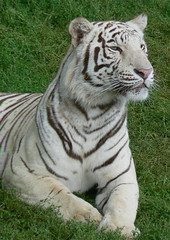 At the turn of the 20th century, there were an estimated 40,000 tigers in India. Many were shot down by English men during British regime for their skin and other things. Such a cowardly act of shooting down of tigers used to be considered as an act of bravery at that time.